The department deals with structure, dynamics and mode of action of peptides, proteins, lipids and nucleic acids. 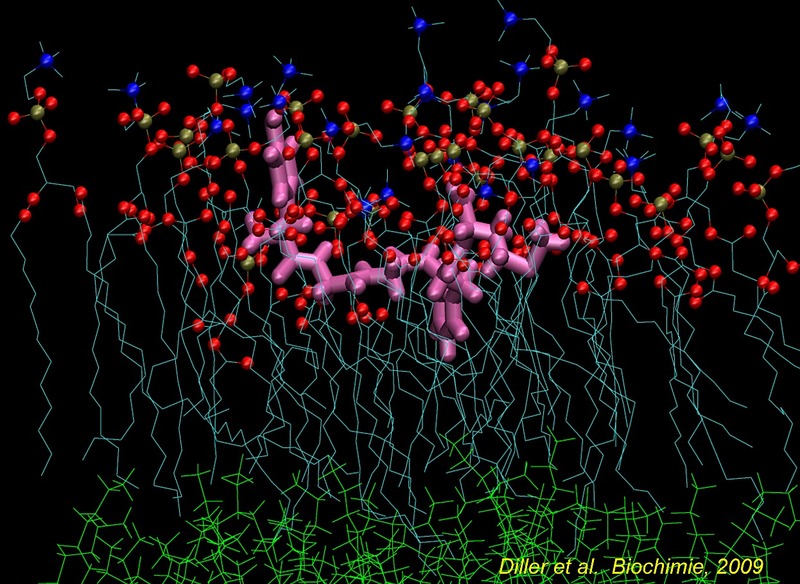 Molecules may be isolated or under the form of complex assemblies: model and natural membranes, colloidal and non-covalent complexes. Systems may be cristals, powders, soft matter, in solution or in the gaz state.. 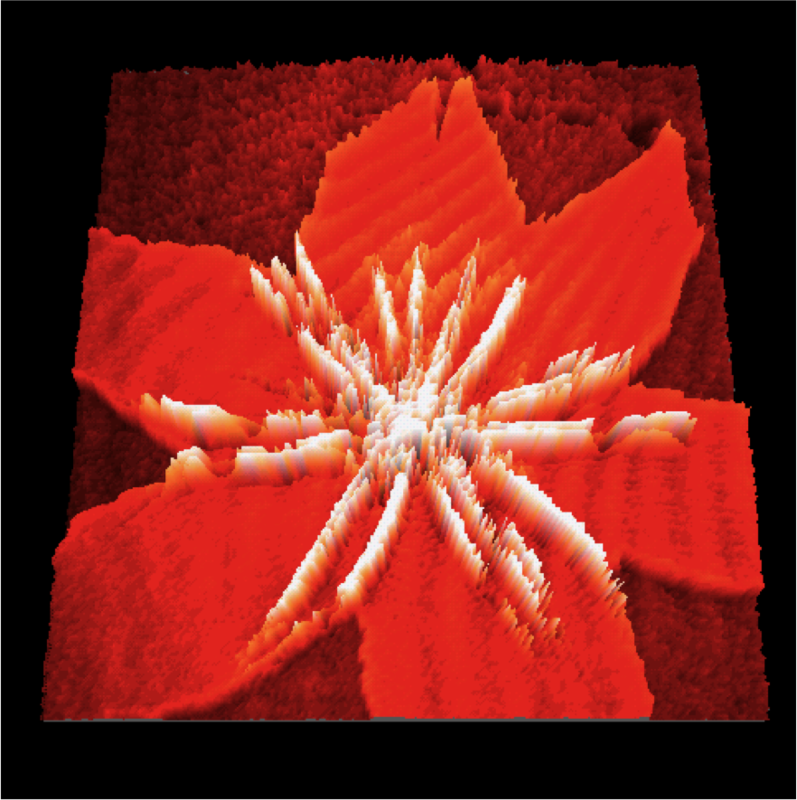 The departement manages technical plateforms for structural analysis (AFM, NMR, MS, IR, Raman, PWR, Radiocrystallography, Molecular Dynamics, Peptide synthesis Synthèse), at the local, national and international levels. “Origamis” based on DNA technology. Carbon Nanotubes for AFM samples to image soft matter. Lipid Domains (rafts). Cholesterol & plant sterols. Lipid signals. Lipodome and membrane proteome analysis. Clinical proteomics and peptidomics. Membrane peptides and proteins involved in cancer, apoptosis, membrane fusion or having antimicrobial properties. Protein aggregation: Prion, HET-s, lithostatin. Enzymes and transcription factors involed in wine tannins biosynthesis. Natural colloids: tannins-proteins, tannins-lipids, lipoaminoacid carriers of active molecules. Mass Spectrometry, Maldi-Tof, Esi-Tof, Qtof, MS/MS. 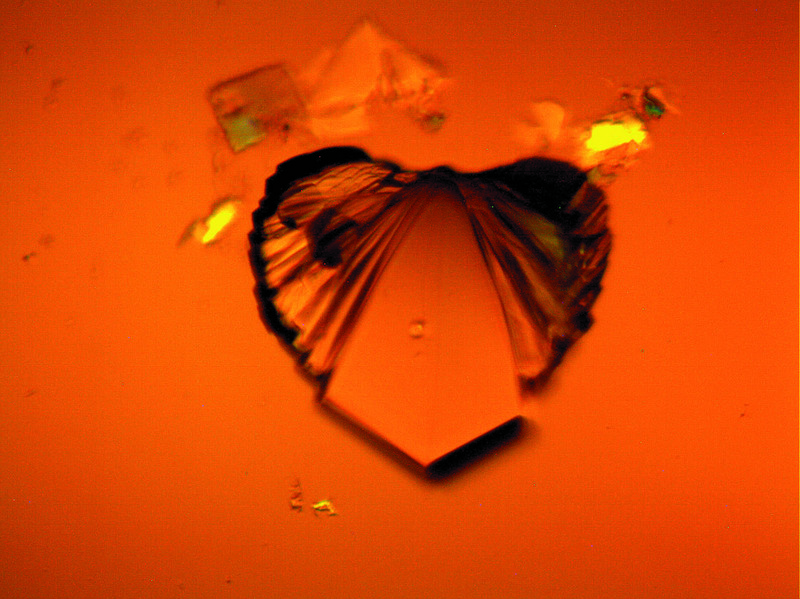 X-Rays Crystallography, SAXS, WAXS, 4 circle. High field NMR; Liquid and solid sate, soft matter. Magic angle sample spinning. Circular Dichroism, IR and Raman spectroscopy, PWR, dynamic light scattering. Near field techniques, STM, AFM, SNOM. Chemical and biological syntheses and isotopic labelling of lipids and peptides. Isotopique H/D exchange on membrane proteins. Expression and labelling of proteins . Crystal growth.